From lofty fortune cookie messages, to movies featuring mysterious women gazing pensively into crystal balls, there is no denying society is intrigued by the ideas of psychic power. However, while there are certainly a few images that come to mind when one thinks of psychic abilities, many may be surprised to know just how many different types of psychic power there really are, and how each is used to for a different purpose. Since the start of recorded history, psychic abilities have been documented, exposing the supernatural gift that some possess to look beyond the physical world and reach into the spiritual one. By honing in on these abilities, some have been able to master the art of psychic powers in order to help those around them uncover secrets from the past, look into the future, and better understand the present. To help you better understand the different types of psychic powers, we’ve compiled a list of the most common psychic practices and how they are used. Astral projection is the ability to will your conscious out of your body. This type of psychic experience is similar to an out of body experience (OBE), except astral projection is voluntary, while OBE is typically involuntary. Astral projection is achieved through meditation and allows your astral body (also called a “soul”) to travel places your physical body cannot; for example, through walls and doors. Automatic writing is a psychic ability that requires one to channel spirits in order to write messages from the beyond. This type of psychic power does not involve the conscious mind, but rather requires the individual to be in a trance-like state, with their hands moving unconsciously across a page to convey supernatural messages. Clairaudience is the ability to hear beyond the normal human perception. This could mean anything from hearing voices, noises, and music from the supernatural world, or being able to hear messages from inanimate objects like minerals, crystals, and special artifacts. Also called ‘clear knowing’, claircognizance is a psychic power in which a person is able to know things without any previous knowledge on the subject. It is believed that this knowledge is bestowed upon the psychic by a spirit guide or by their higher self. Clairgustance is the supernatural ability to taste a substance without making contact. Clairsentience is the psychic ability to sense or feel something supernatural. Psychics with this ability are able to acquire knowledge through feeling spirits and energies in the enteral world. According to Psychic Library, clairsentience is the ability to sense the past, present, or future emotional and physical state of a person. For example, psychics with clairsentience could meet a person and instantly know their name, birthday, emotional state, and other important details about their life. This often works based on energies and aurar’s, but it can also a result of channeling someone’s emotion after physically touching them. One of the most known forms of psychic power, clairvoyance is the ability to see things beyond the physical sphere, like auras, spirits, and visions, and it also includes being able to see into the past and future. Unlike other psychics, clairvoyants have the unique ability to see spirits or ghosts and communicate with them. They can also tell someone’s fortune by looking into the future. The noble art of divination is the practice of gathering evidence from the spiritual world to interpret the physical world. There are many different ways to practice divination in order to predict the future, reveal things from the past, or better understand the present. For example, some of the most common types of divination practices involve tarot cards, tea leaves, crystal balls, Ouija boards, pendulums, dowsing, scrying, bibliomancy, and the use of many other tools to translate messages from the ethereal world. Those who practice divinations believe that the ethereal world and the physical world are closely linked, and that the tokens or objects they are using to create a prophecy have either been marked by a supernatural energy as a type of clue, or are a type of medium communication tools between the two spheres. Also referred to as ‘channeling’, mediumship is the ability to communicate directly with spirits. Psychics with this ability essentially act as a “medium” to relay messages from the spiritual world. There are different types of mediumship, but the most commonly known, perhaps, involves a spirit taking over the medium’s body and using their voice to communicate. Other mediums, however, can only speak to and hear messages from spirits, and then pass along the message themselves. Precognition is the ability to predict the future and future events. Psychics may experience precognition in different ways, but the most common, perhaps, is through detailed dreams. Others may experience precognition as a by-product of other psychic powers, like clairvoyance or ESP (extrasensory perception). Psychic channeling is another word for mediumship. This type of ability involves channeling spirits from the ethereal world, in order to communicate with the dead, ask questions about the future, or better understand the present. While channeling a spirit, the spirit can in some cases take over the psychic’s physical body, similar to a possession. However, in other cases, the psychic can only pick up on the emotion of a spirit and use other clues to try to piece together a message. Some even suggest that when you use a Ouija board you are performing a low level of channeling to move your hands across the board and create a message. In general, psychic empathy is the ability to feel or sense another person’s emotions. This skill is something that most people have in varying degrees, but psychic empathy gives you the power to sense another’s emotions without any physical cues. Often psychic empathy works by detecting the energy of one’s aura or energy field. Psychometry is a type of psychic power where an individual can experience visions or emotions related to a place or object just by touching it. Also called token-object reading, the psychic will usually hold an object in their hands, such as a photograph or piece of clothing, in order to summon information about the object. In addition, this types of power is sometimes used to communicate with animals, by detecting certain images or emotions. Remote viewing is the ability to receive visions or impressions related to a distant object or place. This practice is a type of extrasensory perception (ESP). Also referred to as post-cognition, retrocognition is the ability to see into the past. This is the opposite of precognition, which is the ability to see into the future. Retrocognition can occur in many ways, but most commonly it occurs while the psychic is dreaming. Scrying is a type of psychic power that is related in many ways to divinations. Scrying is a technique in which a psychic looks into an appropriate medium to receive a message or vision. 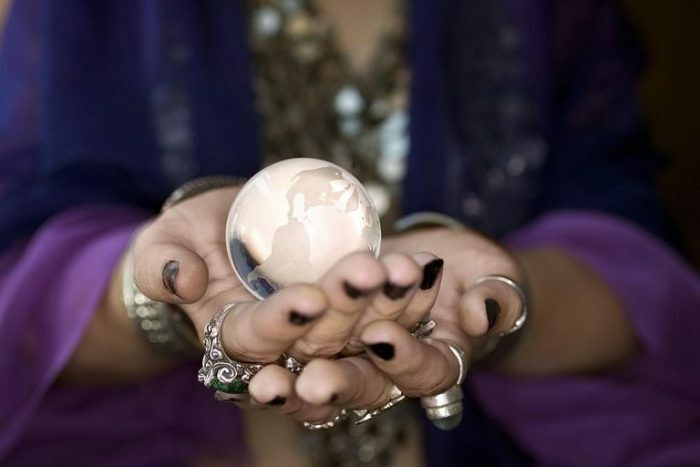 In popular culture, the most popular type of scrying is crystal gazing, often depicting mediums gazing into a crystal ball in order to read the future. However, scrying doesn’t always have to deal with a crystal or glass object. One of the most fictionalized forms of psychic power, telekinesis is the ability to move objects in the physical world with your mind. Think “the force” from Star Wars or some of the superheroes from X-Men. This type of psychic power is extremely rare. Have you ever wanted to plant a thought is someone’s mind? Well, that’s exactly what can happen with telepathy. Telepathy is a type of psychic power that allows mind-to-mind communication. There are varying degrees of telepathy, but in powerful cases, the psychic can communicate clear and complete thoughts in just a blink of an eye. In addition, telepathy isn’t only limited to human to human interactions. Animal telepathy is also a popular sect of psychic practice. Now that you understand the differences between some of the most common psychic abilities, we hope you can hone in on the practice that may work best for you. Whether you’re trying to determine whether you or someone you know may be psychic, or you’re trying to understand why type of psychic professional to seek for a personal reason, there is so much to learn and uncover about psychic abilities. While psychics may be depicted as all being the same on TV and in movies, there are actually many different forms of psychic power, with some psychics only able to access certain abilities, while others are able to take advantage of multiple forms. However, truly understanding the difference between each form of psychic power, can help one unlock parts of their brain and access new supernatural talents from their minds. 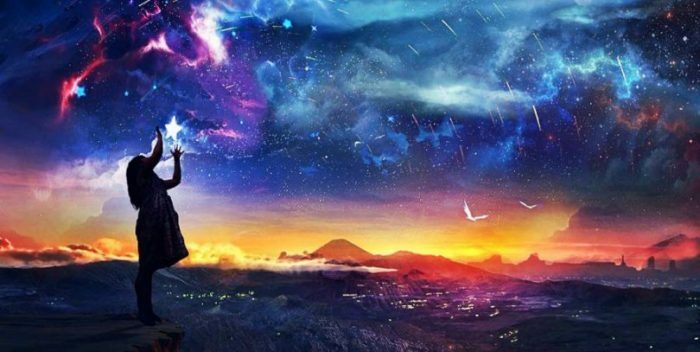 If you’re looking to truly master your psychic ability, we encourage you to learn more about each of these powers and experiment to see if you were gifted with any of these capabilities.